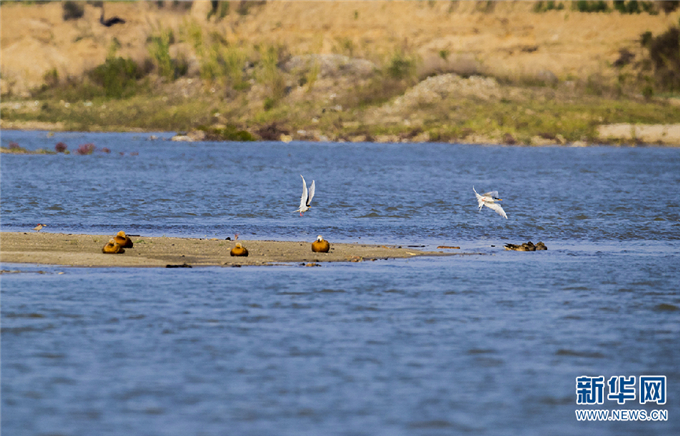 Yellow-billed river terns are a rare species of birds that distribute in India, Myanmar, Thailand and China. For this type of birds, breeding is not easy especially when they build nests on sandbars. In Yingjiang County, Dehong Dai and Jingpo Autonomous Prefecture, southwest China’s Yunnan province, this is no exception. 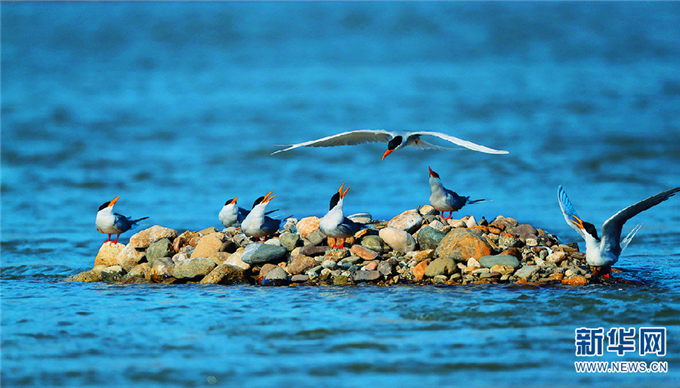 A few days ago, as the water level of a river in Yingjiang County was rising due to the release of water from an upper stream hydropower station, seven yellow-billed river terns faced serious conditions as their nests were built on downstream sandbars. Fortunately, thanks to the help of local people, they were saved. 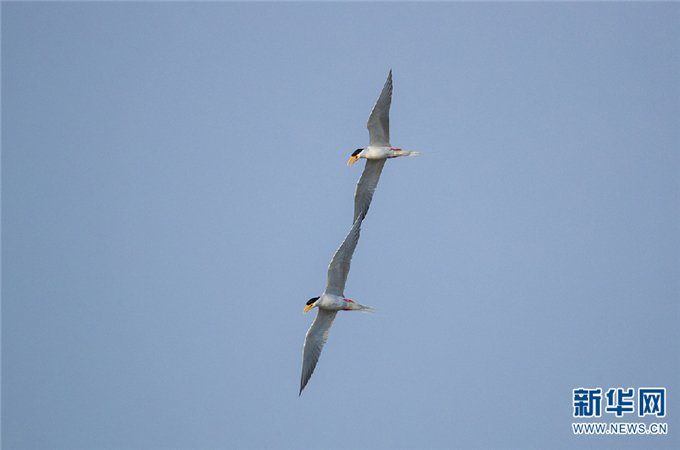 As a local Yingjiang eco photographer, Cun Zhiyong likes to challenge himself to capture the images of yellow-billed river terns since the birds fly fast. When Cun learned that the Hulukou Hydropower Station, sitting on one of the upper stream branches of Daying River, would be maintained and the water would be released. 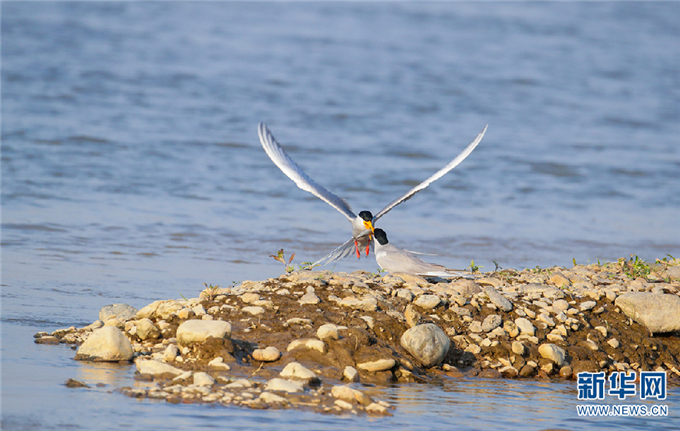 He began to worry as seven yellow-billed river terns has inhabited in the downstream of the river according to a survey launched in early March. When the water level rose, their nests would be definitely submerged. Then Cun shared the information in a WeChat group consisting of government officials, photographers and volunteers. After receiving the message, all relevant parties took quick actions to protect the birds. Yang Zhenghua, deputy director of the Dehong Prefectural Bureau of Forestry and Grassland, contact with the hydropower station for the safe release of water. With the efforts made by Yang and his colleagues, the station released water at a lower flow rate. And the water level was always below the bird nests. 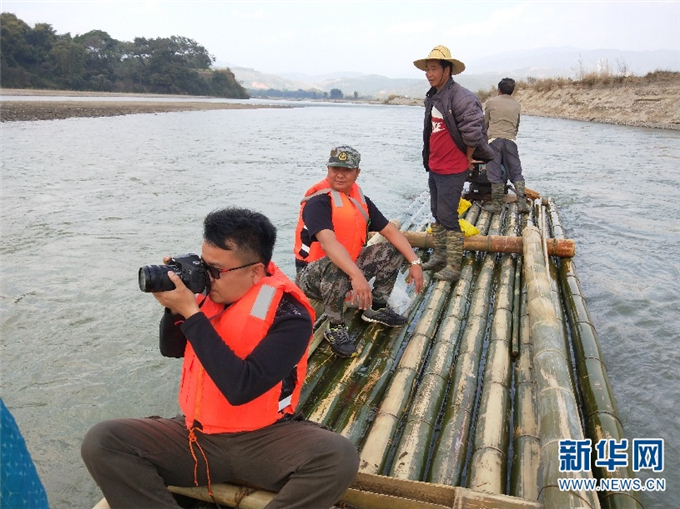 “We assigned three persons to carry out all-weather monitoring on the water level and make sure no human beings or animals enter the safety range around the birds’ nests,” said Zuo Changsheng, deputy director of Yingjiang Branch of Yunnan Tongbiguan Provincial-level Natural Reserve.